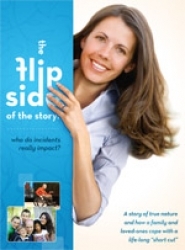 Are you looking for a Safety Speaker with IMPACT? Chad Hymas has been hailed as “One of the most inspirational speakers in the world” by The Wall Street Journal. His safety message has been delivered on all 7 continents and over 15 countries to literally 1.6 million people. His safety clients include some of the biggest names, in all industries, where Target Zero TM is Optimum! 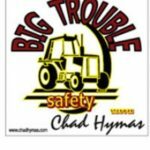 Let Chad bring his ‘Big Trouble’ safety messages to your people! 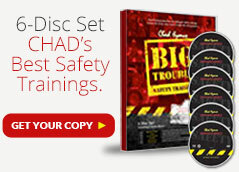 Chad’s “I’ve Got Your Back” presentations’ is a series of 5 sessions (60-120 minutes each). Presentations can be given in any order, they all contain different content, and have been created over a span of 9 years to keep Chad’s repeat clients refreshed and on the move to Target Zero! We are looking for results! No talk, speech or necessarily a ‘motivational mecca’ will move people to action. 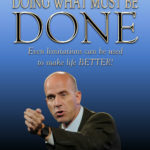 Chad teaches organizations and individuals how motivate the motives that are hidden in them! We are on our way to Target Zero! Bring Chad in and help your group take action TODAY! 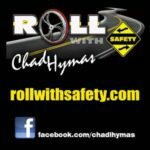 All five of Chad’s safety presentations are original covering 6-8 separate principles, and each can be customized to fit the needs of your specific group. Chad believes that customization is EVERYTHING. His presentations are genuine, humorous, audience engaging and very uplifting!….Yet he is bold, direct and to the point! 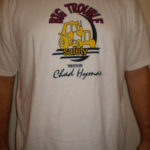 From leadership to your front line crew, Chad’s safety messages are for all! Hours of intense training that you can easily navigate to. Instructions and a topical guide on how to use each disc. Program times so you can customize your training.